Please enjoy the following vendor interview all about wedding music with Waira of Airwaves Music DJs. Waira shares exactly what Airwaves is all about, what the big trends in wedding music look like today, and what happens when a robot hits the dance floor! 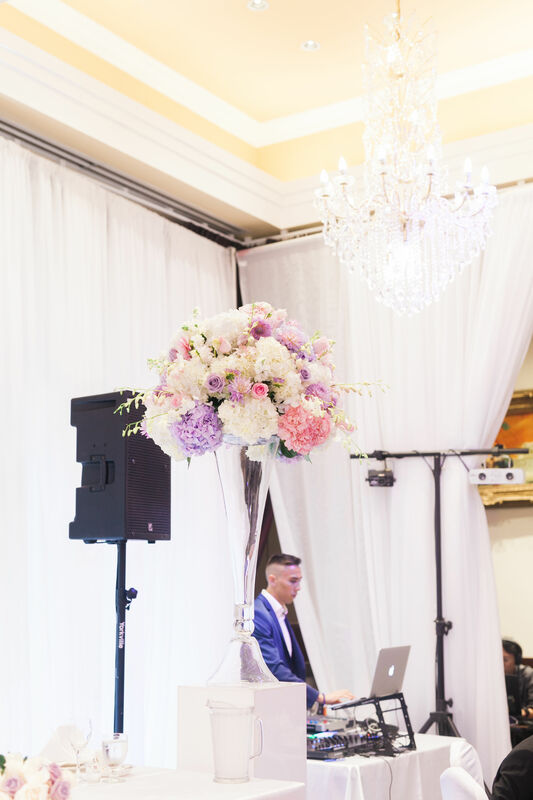 And if you’re looking for a DJ for your wedding or event, stay tuned for a special discount at the end of this post! Please introduce yourself! Who are you and what do you do? Hi! My name is Waira. I am the current Owner and Director of Airwaves Music DJs. I have been a DJ since 2010 and started working for the company in 2013. My job at Airwaves is to constantly improve our company while supporting our amazing team of DJs and support staff. How long have you been in the wedding music industry? I personally DJ’d my first wedding in 2011 at the age of 16, however we have DJs on our team who have been in the industry for decades! As a company, Airwaves Music has been around since 2007 and we have DJ’d over 3000 weddings/events since then. What first attracted you to the wedding industry? 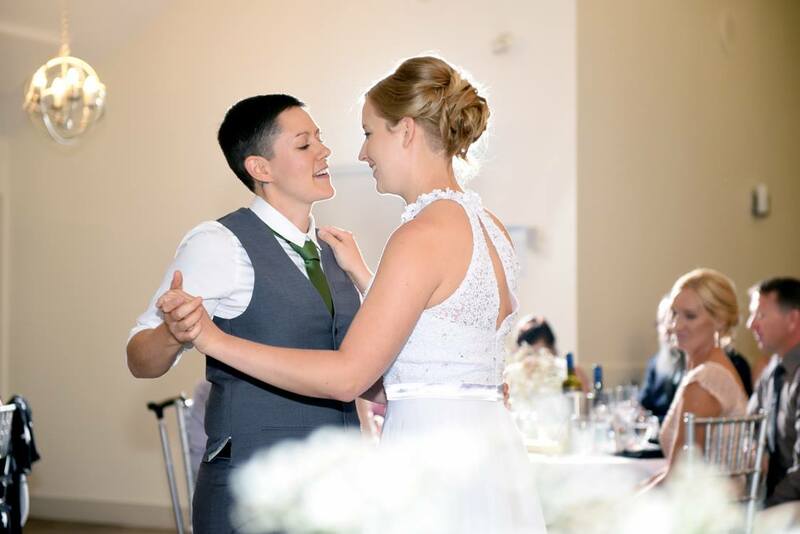 I have always loved the atmosphere at weddings – being part of a day where two people bring their communities together to celebrate is an incredibly rewarding, fun, and unique experience. As soon as I experienced this for the first time, I was hooked! When you’re not busy DJing weddings, how do you love to spend your time? When I’m not behind the DJ booth, I love to be on the dance floor! Personal development is also a huge passion of mine so I can often be found reading or taking courses and programs to deepen my knowledge of marketing, sales, business, psychology, spirituality and working with others. We also work with corporate companies like Redbull, Lululemon, Victoria Secret, Microsoft, Earls, Tough Mudder, Topshop, Bioderma, Molson, Honda, Corona and many more, supplying tunes for non-wedding events as well. What makes Airwaves stand out from other DJs? Airwaves is not just a 1-person DJ company; we are a team of folks devoted to making sure your event goes perfectly. Alongside our DJs, you’ll work with our Music Advisor and Event Manager to make sure all the details are locked in. They will personally select the right DJ for you based on your taste and style. All of this allows us to be very systemized and organized. We use great software to automate the process and make everything as easy as possible for both our couples and our DJs. We also offer peace of mind, with a backup DJ and emergency hotline on the day of, just in case. 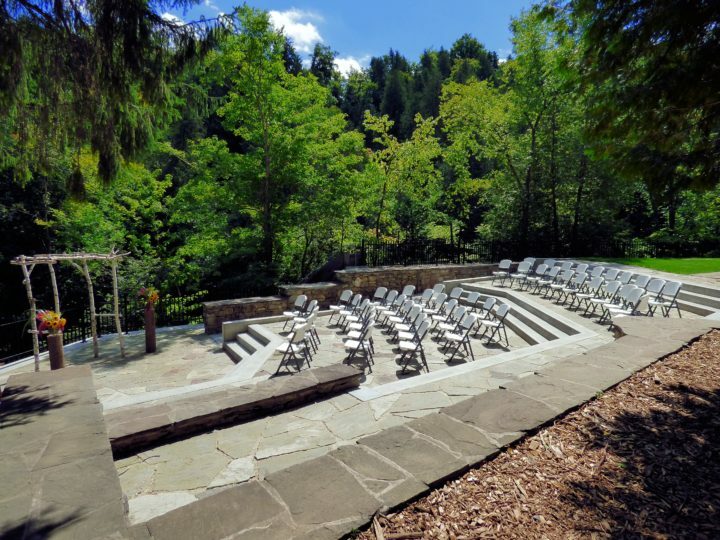 Having done over 3000 weddings and events, we know how to get and stay ready for absolutely anything. Have a stress-free wedding, knowing that Airwaves is there every step of the way! What’s the most memorable wedding you’ve ever DJed? 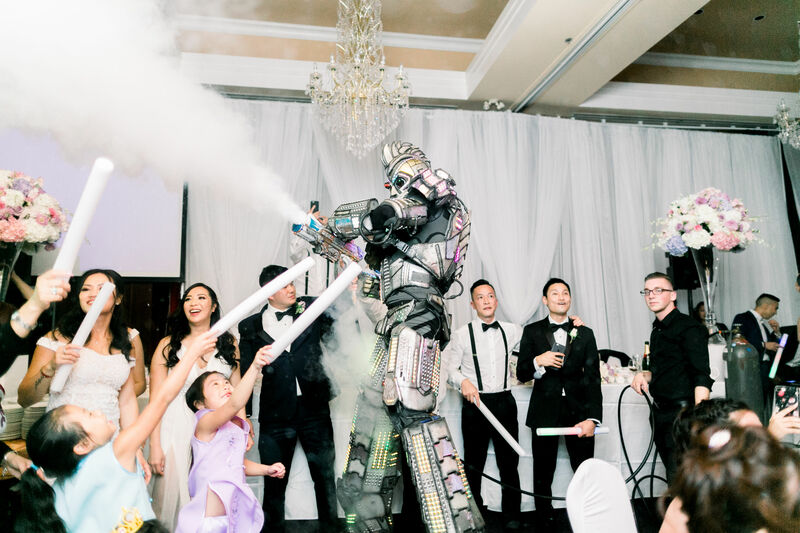 This past summer we had a couple that wanted an all out rave dance party so decided to hire a robot! They loved EDM and hip hop/rap, and wanted an all out nightclub feel, which gave our DJs an excuse to curate and create some specific mixes for an incredibly fun group of people. When Aborg the Robot showed up, we introduced him and hyped him up to the crowd. It was an EPIC and super memorable night. 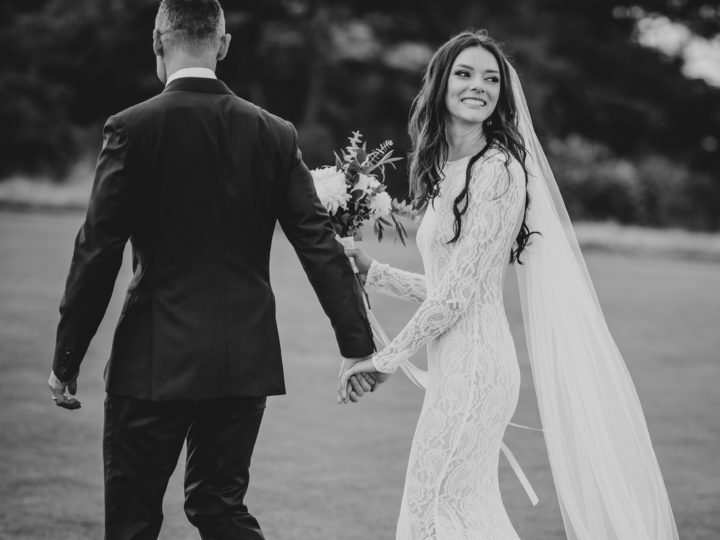 This wedding actually won us a spot as a finalist in the 2018 BC Wedding Awards. Be sure to check out the video. If you had one piece of advice for couples looking for a wedding DJ, what would it be? What are the current trends in wedding music? What’s on its way out? We’re seeing a lot more couples say “absolutely NO” to the classics like The Chicken Dance, Macarena, YMCA and Cotton Eyed Joe. These songs do still get requested (there’s a reason they continue to be overplayed – some people love them! ), but we are definitely seeing them on more “DO NOT Playlists” lately. We’re also seeing more and more blending of styles! Fewer couples want strictly Top 40, and more will ask for a percentage of Bhangra, Hip Hop, Alt-R&B, or Country, alongside the more mainstream oldies and pop selections. What are the biggest mistakes couples make in regards to their wedding music? 100% the biggest mistake people make is waiting too close to the wedding to start looking for DJs and to start planning their music/playlists. Reputable DJs book up fast – most of our couples book 10-12 months in advance! 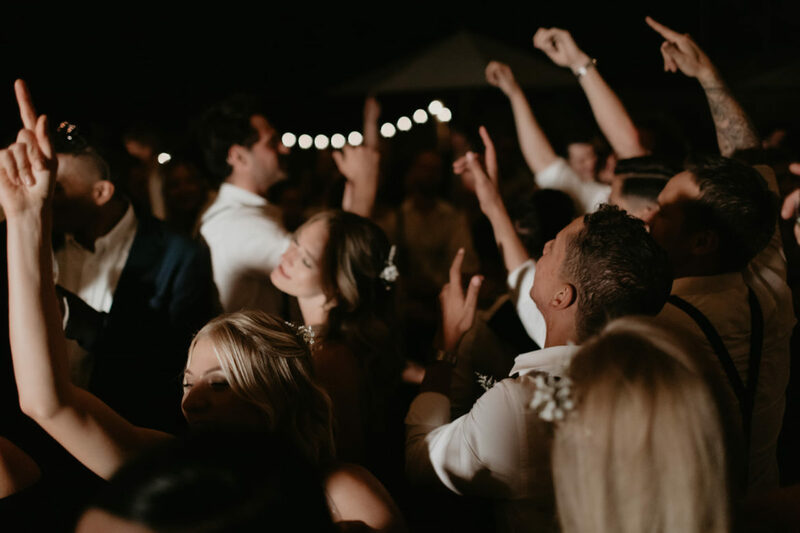 We recommend beginning to look at DJs as soon as your venue and date are confirmed, so that you have time to put feelers out there and check out your options. Also, don’t wait until one week before the wedding to start thinking about wedding music and playlists. We suggest actually allocating a few hours every month as you get closer to the big day to thinking through songs and filling out the forms your DJ gives you. Have a bottle of wine, singalong to your favourite songs and enjoy it; you will thank yourselves later! You could even create a playlist early that you can enjoy throughout your planning season, attaching new memories to the songs you love. Where can couples save? Where should they splurge? We might be biased but don’t skimp on your DJ! Most wedding guests remember how great the music and party was over your decor, flowers, dress and even the food. The truth is that good music and atmosphere can make or break the whole event. A good DJ doesn’t have to cost a lot, but a bad DJ can cost you everything. 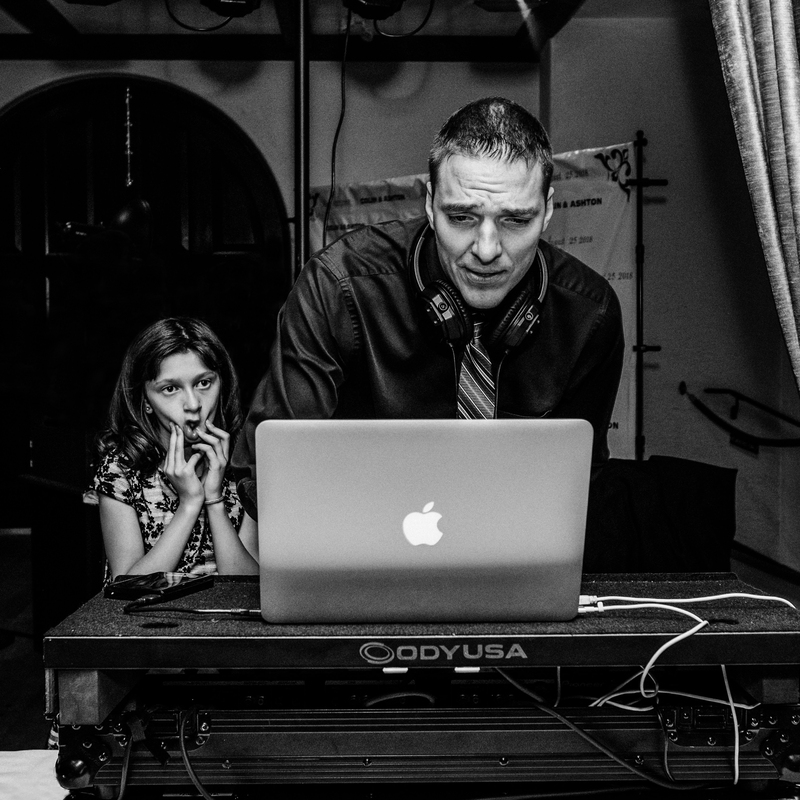 What’s something people need to understand about wedding DJs? A Wedding DJ’s job is to get people dancing and keep the dance floor full for as much of the night as possible. In order to do that, we need to be able to take requests and play a variety of of music styles. It makes our job really hard when couples say absolutely no ‘insert X genre here.’ For example, the couple might not like country, but there might be lots of guests who do. Another thing that makes our job difficult is when we’re given a “MUST Playlist” of eight hours of music for only five hours of dancing, giving the DJ very little room to be creative, engage with your guests and read the crowd. 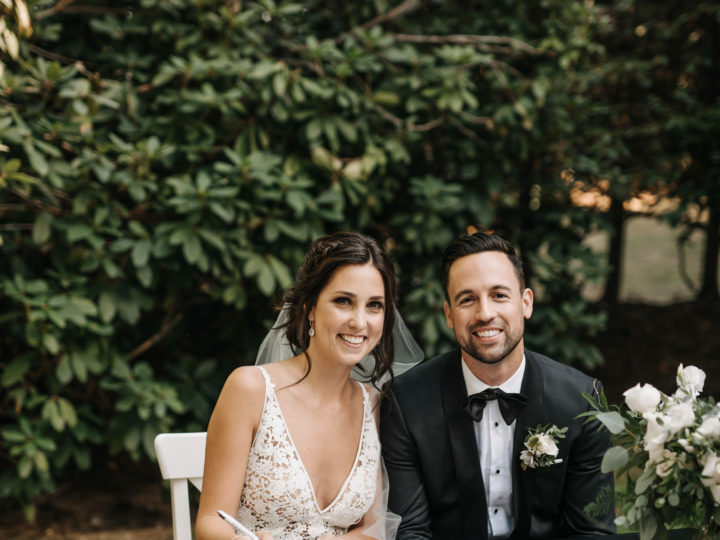 At the end of the day, couples need to understand that when they are hiring a wedding DJ they are working with a professional who has dozens or even hundreds of weddings under their belt. 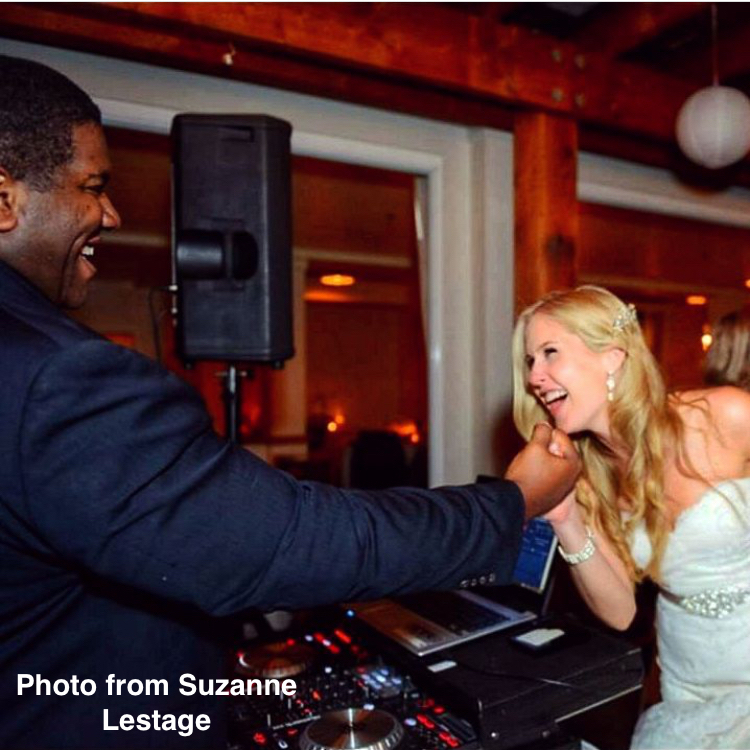 Trust your DJ when they suggest certain songs or genres that you might not like; their job is to make sure that your wedding is fun! Do you have any other tips for couples planning a wedding? Slow and steady wins the wedding planning race! You might be really excited and try to plan everything at once: hire a venue, a florist, look at tux rentals, etc. and then get burned out. This can lead to fights or putting all wedding planning on the back burner and missing out on the vendors you really want to book. Instead, pace yourself. Be strategic and give yourself a roadmap of things you want to prioritize and when you’d like to book them. Block out a little time every week to goi over planning stuff with your fiance. Before you know it everything will be done and you’ll be celebrating with all your favourite people! Looking for a DJ and like what you’ve learned about Airwaves so far? You’re in luck! Airwaves is offering you a special promotion. They’re offering $150 off your booking for any readers who mention this post!